No. 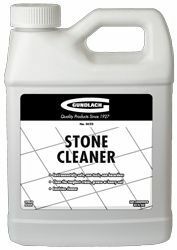 GC22 Stone Cleaner is a water based formula for use on any polished or porous natural stone and grout. Use full strength or dilute up to 8 parts water to 1 part cleaner, depending on degree of soiling or staining.